Nortel Asks: Are You Feeling Hyperconnected? Do you Blackberry from bed? Can't enjoy your latte without a wireless connection to feed your Twitter(2) addiction? Always impressing the boss with the speed of your online, out-of-office response? If this sounds like you, you're part of the exploding 'culture of connectivity' where the hyperconnected are no longer just the geeks. They're a growing part of the everyday norm, connecting to home, office, friends and family, juggling an ever-increasing range of devices to meet their addiction to online access 24x7. According to a new IDC White Paper sponsored by Nortel(1) (TSX:NT)(NYSE:NT) more and more people globally are joining the ranks of the hyperconnected. In fact, not only is the speed of technology adoption accelerating - impacting business policy and IT investment - but the global workforce is increasingly expecting employers to provide similar levels of "everywhere, all the time" connectivity. 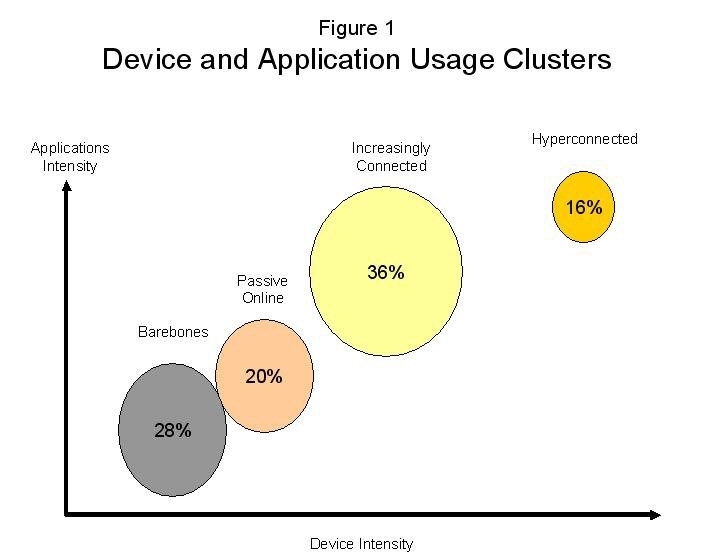 The study of 2,400 people across 17 countries defines the hyperconnected as those with at least seven devices connected to the network and nine different applications in use on those devices such as text messaging, instant messaging, social networking. They currently make up 16 percent of business users but are expected to grow to 40 percent within five years. Want to find out how hyperconnected you are? Participate in the online poll at www.nortel.com/idcstudy. Join the conversation by commenting about your hyperconnected habits at Nortel's news blog Buzzboard. - Enterprises will increasingly have to compete for talent, luring Gen X and Y with mobile devices, teleworking and wireless networks. - The hyperconnected e-mail and text message the office while on vacation, in restaurants, from bed and even in places of worship. - 35 percent of hyperconnected business users felt their companies' solutions helped them maintain a work/life balance, but 21 percent said they made it even more difficult to maintain a balance. - When asked which single item people would take if they had to leave the house for 24 hours, more than 38 percent of global respondents chose their mobile phone over their wallet, keys, laptop and MP3 player. The hyperconnected surveyed preferred to take their laptops. Download the full white paper on www.nortel.com/idcstudy. To see where Hyperconnectivity is surfacing and how Nortel is responding, visit www.hyperconnectivity.com. - Podcast - Listen to the Unified Communications podcast series. - Blog - The Hyperconnected Enterprise: Hyperconnected User Pull vs Business Push? - Blog - Phil Edholm, Nortel Enterprise CTO: IDC Hyperconnectivity Study - Is the US lagging???? Media Contact: e-mail Jamie Moody or Ryan Hill to arrange an interview. THE HYPERCONNECTED: HERE THEY COME!